Some Raw Vegetables Need to be Cooked. 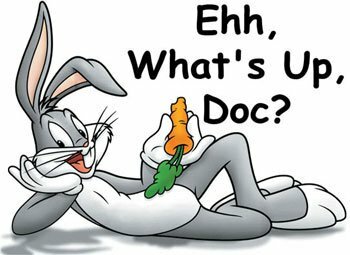 I ate myself to wellness by Eating Vegetables as raw as you can tolerate grown in the Earth that is close to you as possible. This blog is a history of what I ate to get well. About two and half years ago, I was very sick. I was diagnosed with Candida Yeast of the esophagus and I had what I think was a systemic Candida Yeast infection and Chronic Fatigue Syndrome. I was so weak; I could barely breathe or walk. I am much better now. I have found the healing power from within. I regained the strength and returned to my weight of over 30 years ago. I have lost over 40 pounds and dropped at least 6 inches from my waistline. I have found peace and clarity of thought and a creativity long forgotten. I used natural food, and some homeopathic food remedies to get well. As I would research a food, I would write an article about it. I started with what is called Superfoods. The blog is therefore a history of what I ate to regain my health. As I have said; I ate Vegetables as raw as I could tolerate grown in the ground as close to me as possible. When I was first released from the hospital, I knew fresh natural food was the only way to get well again. I started a small Garden of lettuce and did computer research on food and nutrition. Most recommendations were for eating vegetables raw. I wasn’t confused about what to eat but how to prepare it. Juicing was suggested as one way to eat raw and seemed to be one of the answers but, I was weak, sick and broke. I simply could not afford a juicing machine that seems to be as expensive as a new kitchen appliance. I also had brain fog and fuzzy thinking. Anything complicated would have to wait for later. I have always like vegetables but the concept of eating raw food even if it was raw vegetables wasn’t easy to grasp. I found myself wondering. What happened to the Human Race and Cooking? The thought suddenly crossed my mind, my Grandparents didn’t have a juicer, and my ancestors didn’t have a juicer. Fred Flintstone didn’t have a juicer and neither did the caveman THEY HAD FIRE! What suddenly happened to the human race? Why do we need machines now to be healthy? What happen to doing things naturally without a complex diet or plans? Early cave man invented or found fire he didn’t need a juicer, blender or any other cooking machine modern man has come up with. Cooking is unique to humans. 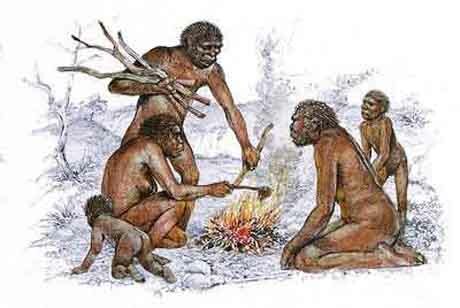 It is believed that cooking played a role in human evolution. As time passed new inventions, techniques, cooking methods advanced. IF YOU CAN’T CHEW IT YOU HAVE TO COOK IT. It is Nice to Eat Raw but Some Vegetables Need to be Cooked. A vegetable fresh from the garden is easier to eat raw. Only Animals Eat Food Raw. It seems like I do have some limitations namely an undeveloped Jaw and Teeth. I am not like my furry friends or some of those unwanted guests that visit in my garden. While most animals thrive on diets consisting almost exclusively of raw, uncooked food, few human cultures have evolved or been sustained without incorporating some cooked foods, including cooked vegetables, into their eating practices. Over Mankind’s history Traditional Cooking methods were developed to cook food preserving the natural nutrition. 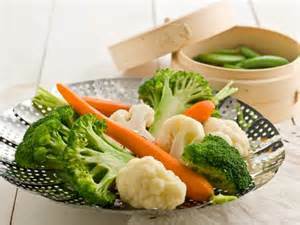 Chinese cuisine and many Asian countries use a Wok to stir fry or steam vegetables. Cooked at a high heat for just a few seconds’ breaks down the fiber and allows for human digestion. 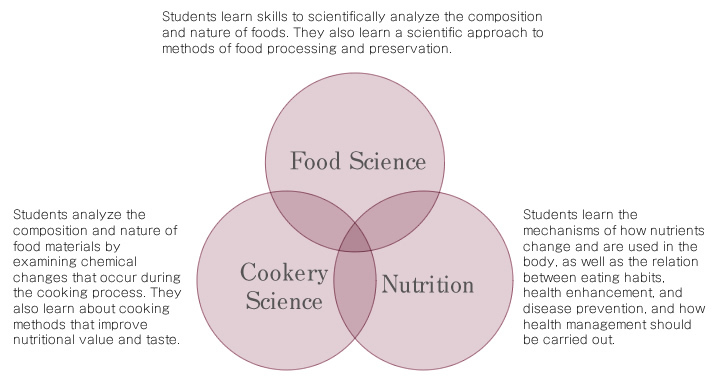 There is special Cooking Sciences dedicated to the subject. What does eating Raw Vegetables really mean? Cooking – The art of preparing food for consumption with the use of heat. Cooking techniques and ingredients vary widely reflecting cultural, economic and environmental traditions and trends. Cooking is a skill and a profession. The way of cooking depends on the skill and type of training a cook has. All cooking methods can be divided into two categories: most-heat or dry-heat. Juicing – Manual juicing tools have been used throughout history. Modern juicers are powered by electric motors. These electric juicers use masticating, centrifugal, or triturating means to extract the juice. It is a way of getting raw vegetables into your diet. Juicing is very healthy, it preserves all the vegetables micronutrients, provides a large amount of gut flora and the needed enzymes, minerals and vitamins. Jack Lalanne in the 1970s made the “power off juicing” popular and is sometimes called “the Godfather of fitness”. Juicing is good for people with compromised digestive system or for those looking to cleanse or detox the body. TCM Traditional Chinese Medicine and Ayurvedic Medicine for good health recommend detoxing at least once a year. Juicing is also good for a quick meal when rushing like in the mornings before school or work. It is true cooking at too high a heat for an extended period of time will remove most of the foods nutrients. But Juicing removes most of the pulp which also destroys the food enzymes. There are several ways to cook and still preserve the enzymes and nutrition in vegetables. Cooking isn’t all bad it can in fact boost some nutrients, kill bacteria and avoids food poising. I have found nothing that shows eating raw foods actually prevents illness. The method of cooking I’m using is to slightly cook it. Treat each vegetable as a unique food, which has its own unique cooking requirements. To avoid unnecessary nutrient loss, cook each food just enough to make it chewable and digestible. Raw foodism – Is a popular modern food consumption method. Raw foodism is mainly concerned with the diet having uncooked, unprocessed food. Such food stuffs are not allowed to be heated about the temperature of 118 degrees F. The rational is heat destroys the micro nutritional balance and natural enzymes in food. Some raw foodists believe cooking makes food toxic. “When you cook it you kill it”. Raw foodism use blenders, dehydrators hydrator, food processors, juicers and sprouting to prepare food. According to WhFoods juicing your greens is not nearly as healthy as eating them. You will get a greater variety of nutrients eating slightly cooked vegetables than in juicing. Juicing provides some needed enzymes but so does cooked vegetables. Another truism about food is you need variety. 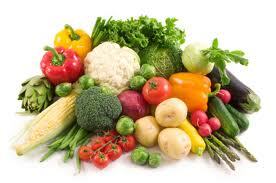 It is beneficial to eat slightly cooked vegetables, along with smoothies or juiced raw vegetables. There is really no wrong way to eat natural food. When Juicing, there is a tendency to add fruit to sweeten the drink you should be aware of the fruits fructose content. Adding fruit will increase insulin levels which is why the gut is irritated in the first place. Processed or Natural Sugars all end up as bad carbs and defeat the purpose of eating the vegetable in the first place. Also Juicing involves expense. Special Juicers need to be purchased starting at $100 with a range being in the thousands. Since juicing removes the pulp a large amount of vegetables are needed. Organic vegetables can be rather expensive. You can avoid the organic high price tag by growing your own. You need to grow a whole lot of vegetables on your own or marry your local farmer and move in with the local farmer. Food research has shown 30 seconds in steam will alter the nutrient composition of a vegetable and will cause some nutrition loss. However, the loss is minimal and is not really a problem. Each vegetable should be treated as a unique food. Each should have its own cooking requirement. For example; spinach may not even need cooking and if so only for a minute yet Kale especially large Kale needs at least 5 minutes. The World’s Healthiest Foods book explains just how to cook each food to retain its nutritional benefits. The directions for each recipe are tailored to meet the cooking requirements of the ingredients being used. Smoothies or Smoothy – Smoothie – the name comes from the smooth property of emulsion. A Smoothie is a beverage made in a blender. Fresh fruit is sometimes added to sweeten. Smoothies first became popular in the 1960s when ice cream vendors, and health food stores began to sell them. 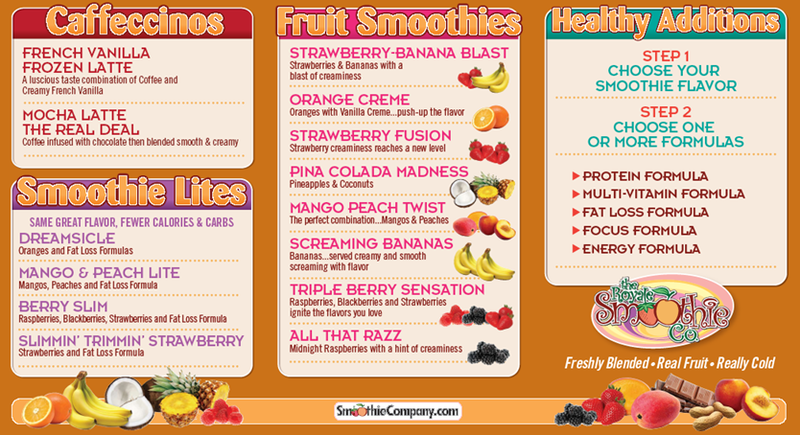 Today smoothies are available in mainstream cafe and coffee shops in pre-bottled versions all over the world. Smoothies are normally served chilled and have a milkshake-like consistency that is thicker than slush drinks. Smoothies are made in a blender you do not need a juicer. Smoothies can be made from just about anything you can eat. Smoothies are fun to make and fun to drink. There is a lot of prep time but once your done you can give your jaws a rest and just drink it down. The downside of Smoothies is again the tendency to add fruit which means added fructose which means unwanted sugar which causes illness and bad gut flora. You can easily reduce the benefits of the raw vegetables with the added sugar. Sprouting – Sprouts contain enzymes, giving your body a much-needed rest as they digest themselves – invigorating you while requiring no help from your body to process them. Foods that need to be cooked include; asparagus, arugula, red beets, broccoli, Brussels sprouts, Bok Choy, cabbage, cauliflower, corn, collard greens, large carrots, Dandelion leaves, Egg Plant Collard Greens, Green Beans, Large Kale, Mustard Greens Quinoa, Peas, Potatoes, radish, Rice, Red beets, rutabaga, Sweet Potatoes or Yams, Turnip, and Watercress. Baking, Blanching, Braising, Broiling, Fermenting, Frying, Grilling, Juicing, Microwaving, Poaching, Roasting, Saute , Scalding, Stir Fry, and Wok cooking. Baking – Baking or Roasting utilizes dry heat to transfer heat to food. It is normally done in an oven at about 450 degrees or higher. Baking makes the exterior of the meat of vegetable crisp while slowing cooking the inside. Although there is high heat the cooking is slow. Baking does help preserve the food nutrients because of the slow cooking process. I like the taste of baked sweet potato for an example. Blanching – Is a cooking process that is normally used to freeze a vegetable. The food item is briefly dropped into boiling water then immediately removed and plunged into ice water to stop the cooking process. Blanching means “to whiten” but in the case of cooking it softens the food, loosens the skin, halts enzymatic action which cause spoilage and allows the food item to be frozen keeping its color, freshness and nutrition during storage. Boiling – At sea level, water boils at 212° F. Boiling water has large, vigorous bubbles. Boiling is used to cook stronger, hearty foods such as beans or very hard vegetables. Because of the high heat involved, boiling should be over a relatively quick cooking period. Simmering is used for a lower heat below 150 degrees. Boiling consists of submerging food in boiling water. The higher the heat the larger the bubble in the water. Braising – Braising involves simmering large cuts of meat in a small amount of liquid in a covered dish. Keeping the braising dish covered traps moisture within and helps intensify the flavors. Liquids used for braising are often wine, stock, or the meat’s own juices. Broiling – Broiling is a cooking method very similar to grilling that can be achieved in the oven. Broiling consists of placing food very close to an intense heat source for quick cooking at a very high temperature. The heat source for broiling is above food, as opposed to being beneath food when grilling. Most ovens only have one temperature setting for broiling and the amount of heat applied to the food is controlled by moving the it closer or further away from the heat source. Fermenting – This includes foods like natural dairy products like cheese, kefir and yogurt made from unpasteurized milk, pickled vegetables and sauerkraut. It is an ancient tradition and skill involved with use of sea salt and/or vinegar and fresh raw vegetables. It was used as a food preservation before refrigeration. Fermented foods also put the good bacteria back in your gut flora and keep you immune system strong. Fermentation need a complete article on its own. Frying – Frying utilizes fat to transfer heat to food. Although fat is a liquid at frying temperatures, it is still considered a dry-heat cooking method because it does not involve water. Frying is most often used to achieve a brown and crispy end product. Although deep-frying may come to mind first, sautéing, stir-frying, and pan frying are all methods for frying food. Grilling – Just as with broiling, grilling involves exposing food to a very intense heat source for a short amount of time. Unlike broiling, the heat source is below the food rather than above. The heat source for grilling can be direct flames from either gas, charcoal, or radiant heat from charcoal briquettes. I don’t use my Microwave anymore it is sitting unplugged in the basement. I am now using the stove top with the burner turned on low with the uncanny ability of leaving it on after all the flame is so low you can’t see the fire. There are two things I miss with my Microwave is its timer and the quickness. The stove tops burners don’t turn off automatically and one of these days I’m afraid I’ll burn by house down by leaving a pot on a burner then forgetting all about it. I now have to make a purposeful check before I leave the Kitchen to make sure the burners are off. Someone should invent a timed burner with automatic on or off switch or even a timed oven. It took a while and some trial and error on my part to figure out a way to replace the microwave. What I now do to warm up something is put a small amount of water in a pan turn the burner to med until it just starts to boil. I then put the item I want to be warmed in a short shallow dish uncover it and place it in the water. Turn the flame to low and let it simmer for about 2 min. The food is just warm enough but not hot. You would be surprised for sometimes the food can get quite hot if you forget. The process is almost as quick as the Microwave. 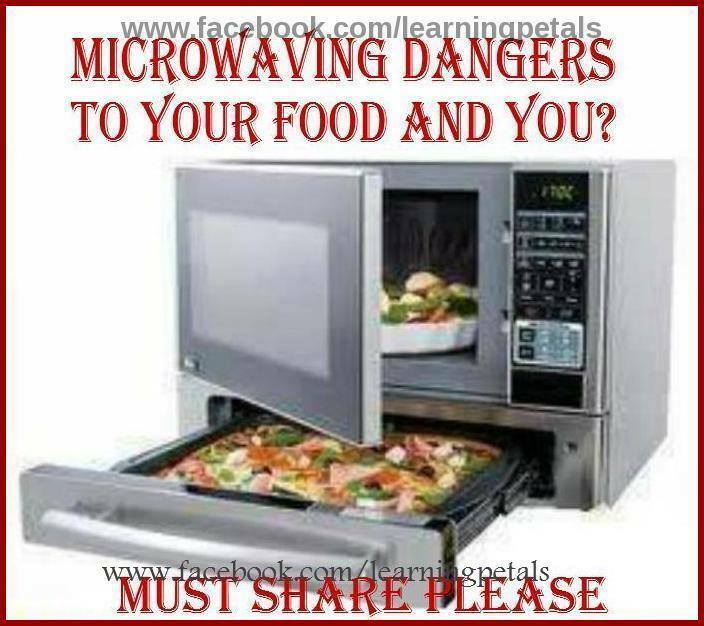 Microwaves are a wonderful invention and so are cell phones and the rest of the electronic equipment we find ourselves in the middle of. The electromagnetic radiation emitted by these devices have been studied and scrutinized for ill effects on human health. Radiation may cause health problems. Since I was so sick I took a long look at the toxins in my home. In the attempt to control my environment and reduce toxins, I discontinued use of the Microwave. I was not only worried at the radiation wave emitted but what it did to heat my food. The debate on cellphones and other electronic device continues and studies by World Wide agencies continue. Nothing has been decided. I just made my own decision and put my microwave unplugged in the basement. Poaching – Partially or fully submerging food into water or another liquid that has reached 160-180° F is called poaching. Water at this temperature is hotter than scalding but is not vigorously bubbling like boiling water. This allows for delicate foods to be cooked without being disrupted or damaged. Poaching is often used with eggs and fish, both of which would break apart if exposed to rapidly boiling water. Saute – uses the stove top with 1 Tablespoon broth or water in a large skillet. Turn heat to medium and wait for broth to bubble add vegetable and turn heat to low stirring constantly cook for 1 minute. Scalding – Water that has reached 150° F is considered scalding. 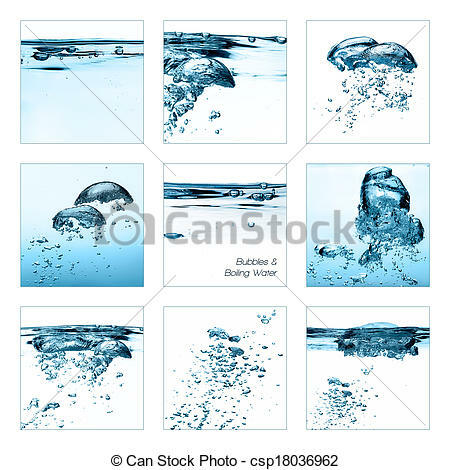 At this temperature, water will have bubbles attached to the side or bottom of its container that do not release or move as they do with simmering or boiling water. The scalding technique is sometimes used to help dissolve solids, such as sugar, flour, or chocolate. Scalding was also used in the past to kill bacteria in milk before pasteurization was so prevalent. Simmering – Simmering liquids are above 180 F but not vigorously bubbling like boiling water. Simmering liquid has gentle bubbles that rise swiftly from the bottom of the pot. Simmering is a more gentle cooking method than boiling and is often used for long and slow cooking processes because there is less evaporation than with boiling. Tough meat, soups, and stews are often simmered over low heat for long periods of time. Steaming – Steaming involves the transfer of heat through vaporized water or other liquids. This is by far the most gentle moist-heat cooking method. Because food is not allowed to steep in the hot water, steamed food retains more nutrients than food that is boiled or simmered. Pressure cookers utilize steam and pressure to increase the cooking temperature above the boiling point of water. Steaming is done when you cook over water. Use a steamer basket over simmering water. This is done usually when you want to cook vegetables, meat or fish rather quickly. Bring water to a high simmer before adding food to the basket above. 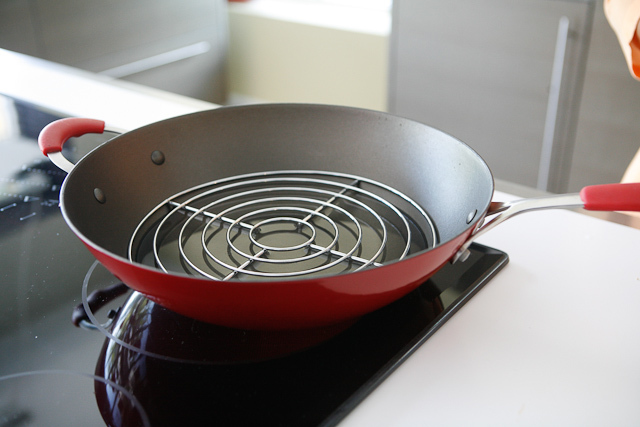 Note: A steamer can also be added to a Wok. Bamboo steamers or Wok Baskets are used in Asian cultures for centuries. They have great health benefits and are easy to use. Place the steam bamboo basket over a Wok that has steaming water and cook meat, rice, vegetables and many other dishes. Stewing – Stewing is similar to simmering in that the liquid is heated until it forms gentle, yet quickly moving bubbles. The difference between stewing and simmering is that stewing generally involves a much smaller amount of liquid that is retained and served with the food as a sauce. Stewing is great for softening tough cuts of meat or fibrous vegetables. Stir Fry – is one of the healthiest and quickest ways to cook food. This method is used as a cooking method in many Asian Countries. The term fry is used but it uses very little oil or water. Many vegetables can be used to make a delicious stir fried dish. It is a technique where vegetables are cooked very quickly at a high heat. This cooking method normally uses a Wok. Steaming can also be done using a Wok Steamer. Sushi – Normally thought of eating raw it is really cooking using a chemical reaction without the presence of heat. In the tradition called sushi fish is cooked with the acids in lemon, lime juice or rice glazed with vinegar.